Read My Kiss - Kiss Print Readings are the perfect choice for Wedding Receptions allowing friends, relatives and guests be part of the evening's celebration while creating keepsake memories. Romance is in the air and Read My Kiss - Kiss Print Readings can be the perfect fun and interactive entertainment at weddings of all types and sizes. Kiss Print Readings are also great for Bachelorette Parties, Bridal Showers, Rehearsal Dinners and Engagement Parties. Anniversaries are a celebration of love and commitment by family and friends, which creates the ideal atmosphere for Read My Kiss - Kiss Print Readings. Our Kissologists will perform a Compatibilty Analysis on the celebrated couple unveiling why their relationship has stood the test of time. But, what else will it reveal? Guests, family and friends will also enjoy being part of the entertainment as Ready My Kiss - Kiss Print Readings are enjoyed by everyone of all ages. Next to the wedding day itself, these two fun events put the spotlight on the bride-to-be and her girlfriends. These "girls-only" celebrations are perfect for Read My Kiss - Kiss Print Readings, as guests and the bride-to-be will be laughing hysterically as our Kissologists reveal the meanings behind the kiss. For even more fun, have the guys join in at the end of the event to take our entertainment to an even crazier level. Read My Kiss - Kiss Print Readings are fun for everyone. Bar/Bat Mitzvahs are a fun and exciting time for the celebrated "teenager", their parents, family and faith. These events are a celebration of family and friends and coming of age, which makes Read My Kiss - Kiss Print Readings entertainment a fun and interactive addition to these celebrations. Read My Kiss - Kiss Print Readings has formats available for tweens, teens and young adults just discovering their interets in friendships and dating, making our entertainment performances and personal readings a fun, welcome feature to the festivities. Guests young and old alike can enjoy learning about their individual Kiss Prints and the messages behind them. Birthday parties are always special, but none is more important and celebrated than the Sweet 16 Party. Teen girls absolutely love Read My Kiss - Kiss Print Readings! They want to know the juice - what does their Kiss Print reveal about themselves? They will love to compare readings and even be amazed with our performance featuring our Sweet 16 girl and her closest friends. 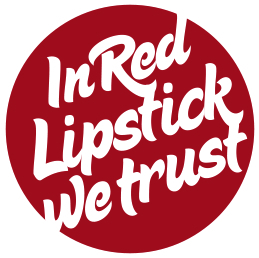 Guys love our readings too and of course the girls go absolutely crazy when the guys put on the lipstick and pucker up and of course pay close attetion to all the juicy details. Good, clean teen entertaiment, complete with keepsakes for everyone. Read My Kiss - Kiss Print Readings are fun at birthday parties and celebrations of all ages. A fantastic icebreaker and featured entertainement, let our readings feature the guest of honor as well as their guests. Our performances are available in formats for birthday celebrations of all ages. Let us be one of the highlights to your memorable birthday event. Christmas Parties, New Years Eve, Valentines Day, Sweetest Day, St. Patricks Day, Cinco De Mayo, and most holiday celebrations are ideal for Read My Kiss - Kiss Print Readings. These events are great for both singles and couples enjoying the festivities, socializing and spirits, creating an excellent environment for Read My Kiss - Kiss Print Readings. Guests will lineup to be part of the laughs and fun of our memorable interactive entertainment. Graduation celebrations are an exciting time in life. Most of these celebrations are with family and friends honoring the graduate. Memories are shared and time is spent with the graduate, but what about entertainment? Read My Kiss - Kiss Print Readings are an ideal way to bring everyone together with our fun and personable readings. The Guest of Honor will be featured as guests learn the secrets behind their kiss and what the signs of the future may hold. Enagement Parties are a very exciting time bring together two special people, their family and friends sharing in the beginning of a life of love and commitment. Announcing an engagement is the perfect event for our fun, romantic and revealing Read My Kiss - Kiss Print Reading entertainment. This is the perfect way to join families and friends though fun, laughter and interaction. The spotlight will remain on our special celebrated couple, while Read My Kiss - Kiss Print Readings will be a fantastic addition to the unity celebration. Read My Kiss - Kiss Print Readings are a great addition to any Retirement party or celebration. Honoring someone for their lifetime of work and a transition in their life is a great time to share memories, stories and a dedicated career. Our entertainment readings are enjoyed by everyone of all ages and a great way to bring everyone together while honoring a very special retiree. Getting the girls together can always be great fun, but having a featured attraction or entertainment at home events can be difficult. Read My Kiss - Kiss Print Readings can be the hit of these events. Informal, intimate, yet fun for all, we will include our showcase performance introducing Kiss Print Readings and then provide individual readings for everyone. The girls will have a blast and remember the great get-together and the fun they had long after the event has ended. Great memories, great fun. Read My Kiss - Kiss Print Readings are fantastic for in-home presentations, parties and get-togethers. Independent Product Consultants and direct selling distributors such as Avon, Tupperware, Partylite, Pampered Chef, Mary Kay, and most others have discovered these at home events, presentations and parties are an ideal setting for Read My Kiss - Kiss Print Readings. We fit naturally into the event's presentation yet deliver a fun and inviting atmosphere that creates interaction and can generate sales for your products and services. 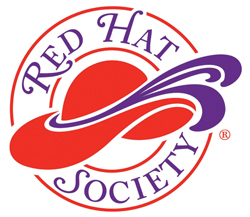 Read My Kiss - Kiss Print Readings are absolutely perfect entertainment for Red Hat Society events. The ladies absolutely love to learn what their Kiss Prints Reveal about themselves. Read My Kiss - Kiss Print Readings have been featured at local, regional, state and national Red Hat Society events, and are always the hit of the festivities. Attendees love our free keepsake Kiss Print Cards with their personal readings and create an energy that leads to a fun, exciting and outright hilarious atmosphere throughout the entire event. Reliving memories, seeing old friends, long lost loves, previous romances and classmates, Class Reunions are great events for Read My Kiss - Kiss Print Readings. Nostalgic moods and current reconnections create a great event for our performance and personal readings. Read My Kiss - Kiss Print Readings specializes in bringing everyone together and creating memories, which is exactly what Class Reunions are all about. Guests are amazed at the fun and hilarity that prevails once the guests see us in action. Our appearance will be the talk of your event, and our keepsakes will keep the fun and memories alive long after the reunion. Family members will unite with delight with Read My Kiss - Kiss Print Readings! Close relatives and distant relatives alike will bond and enjoy the fun and excitement that Read My Kiss - Kiss Print Readings will bring to your Family Reunion. Let Read My Kiss - Kiss Print Readings bring together several generations of kisses from your family to deliver fun and interaction to your next Family Reunion. One of the absolute best events for Read My Kiss - Kiss Print Readings are at singles events. Read My Kiss - Kiss Print Readings are an excellent icebreaker and the perfect conversation starter for sharing and comparing their Kiss Print Reading with other singles. Outgoing and shy or reserved singles will all enjoy the fun and interaction that our entertainment brings to these events. Create a fun, relaxed atmosphere where your personal Kiss Print Reading can be the featured attraction to bringing singles of all types together for a fun, memorable activity at your next singles event.